May is National Stroke Awareness Month, which makes it the perfect time to educate yourself about the very real yet preventable risk of stroke to your health. The truth is that 140,000 Americans are killed by stroke every single year, but a full 80 percent of those deaths can be prevented with relatively simple cardiovascular strategies. Here is everything you need to know to make sure you never become one of the 140,000. Stroke is a disease that affects the arteries leading to and linking within the brain. When a blood vessel responsible for carrying oxygen and nutrients to the brain becomes blocked or bursts, that part of the brain struggles to get the oxygenated blood it needs to function. Instead of a heart attack, a stroke can be considered a “brain attack”. 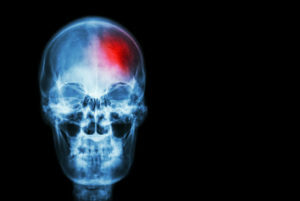 The longer that a stroke continues without medical attention, the more brain damage occurs. There are certain risk factors that place men and women at a higher risk of stroke than their peers. People who are overweight, older than 55 years, have an inactive lifestyle, smoke or drink, and have a family history of stroke are at higher risk of this disease. How Can You Recognize a Stroke? The acronym “FAST” is used to encourage recognition of stroke signs. Face drooping? Arm weakness? Speech difficulty? Time to call 911. Stroke can be efficiently prevented by making smart lifestyle choices and working with a cardiologist to improve and strengthen your health. Adopting healthier food choices, getting more exercise, cutting out tobacco and alcohol, and maintaining a healthy weight are all powerful ways to keep your blood pressure under control, manage any existing diabetes, limit your cholesterol intake, and keep your blood vessels as healthy as possible. At Cardiovascular Solutions Institute in Bradenton, Florida, Dr. Gino Sedillo and his staff will provide the cardiac and vascular care you need to improve your health and prevent unwanted health complications. Call (941) 747-8789 now to make your appointment. ← What Should You Know about Your Pacemaker?